U.S. Senator Tom Coburn (R-OK) today threw his support behind congressional hopeful Evan Feinberg on Monday. Feinberg, who served as a staffer to Coburn in Washington, DC, is challenging Rep. Tim Murphy in the 18th district primary. It’s not exactly a surprise. Coburn said in December that he was likely to make an endorsement of his former staffer. In his endorsement letter, Coburn took the unusual step of directly attacking Murphy, criticizing his votes in favor of funding several government programs. 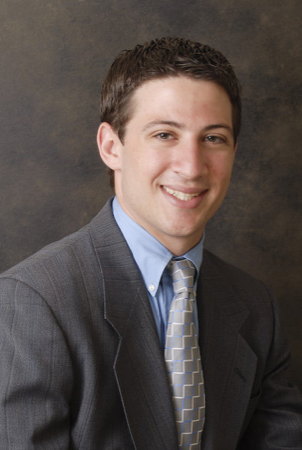 Feinberg, 27, started his career in Washington DC as a researcher with the Heritage Foundation. In March of 2008 he moved to Coburn’s office as a Legislative Assistant on health care policy. He left Coburn in May of 2011 to take a position as a senior aide on health care, education and labor policy with Sen. Rand Paul. However, his former boss’s support lends additional credibility to Feinberg’s campaign and helps the candidate with his number one goal: raising money. Coburn, a physician who Democrats derisively call “Dr. No,” has a national following among conservative activists and donors. His endorsement is likely to increase Feinberg’s share of the national money that is available for Tea Party-style challengers. Feinberg has the added benefit of being the only legitimate Republican primary challenger in Pennsylvania this cycle. It’s another win for Feinberg, who have proved adept at the earned media game. He so far has racked up support from FreedomWorks and the anti-union Associated Builders and Contractors of Western Pennsylvania. Murphy, meanwhile, has taken heat from a number of sources. The Club for Growth spent around $125,000 to air television ads against Murphy, RedState called for him to be primaried, and the Tribune-Review editorial page has consistently criticized Murphy in recent months. Feinberg will need all the help he can get. Murphy has about $1,040,000 cash on hand to Feinberg’s $40,000. Murphy was also recently endorsed by the influential National Right to Life PAC and the Pennsylvania Pro-Life Federation PAC. And his ‘A’ rating from the National Rifle Association will likely lead to their endorsement, too. Update: In response to the endorsement, Murphy’s campaign stayed focused on their boss. The Democratic candidate in Pa-18 is Washington County Commissioner Larry Maggi. Every two years, you and I vote for candidates who promise to change Washington by ending wasteful spending. Yet, no matter who wins, Congress just continues to borrow more and spend more. Since the last election, more than $1 trillion has been added to the national debt. Within just a few days of becoming a member of the Senate, I learned the answer firsthand. Politicians tell you one thing about cutting spending to get your vote and then fight like children to grab the biggest piece of the budget pie. The price for getting your pie in Congress is supporting the pork of other politicians. Consider only 15 out of 100 senators voted for an amendment I offered to defund those infamous Bridges to Nowhere in Alaska. Forty-two Republican Senators voted for the bridges which had come to symbolize the excesses of government waste and stupidity. Then-Republican Senator Arlen Specter was one of those who voted for the Bridges to Nowhere. Yet Specter had told voters for years he supported a balanced budget. But during our time in the Senate together, he rarely supported my efforts to cut wasteful spending, and behind closed doors, he actually fought to increase spending. Pennsylvania voters caught on and replaced Specter with Pat Toomey, a proven champion of limited government. Senator Specter’s behavior was not unusual. In fact, he was no different than most of the career politicians in either party I have witnessed in Washington. They put protecting their own jobs before principle and think their next election is more important than the next generation. We have an opportunity to retire another “Arlen Specter Republican” in Pennsylvania this year with someone I know from personal experience who shares our conservative principles and will stand and fight with me and for you against government waste. I strongly support Evan Feinberg for the Republican nomination in Pennsylvania’s 18th Congressional District. Evan served on my Senate staff for over three years. During that time, Evan helped me develop a free market alternative to Obamacare that would have ensured that you and your doctor—rather than the government—controlled your health care decisions. Evan relentlessly identified government waste and tirelessly pursued innovative solutions. Evan is the fresh face the conservative movement needs to broaden its appeal. He possesses the vigor and determination necessary to wage the war against entrenched special interests in Washington. While the media portray Washington as being paralyzed with partisan disagreements, there is one area of bipartisan consensus: borrowing and spending. Fixing the problems facing our country starts with replacing the career politicians who are part of the problem. Congressman Tim Murphy, whom Evan is challenging for the Republican nomination, was first elected to Congress a decade ago and gained a reputation for fighting for a bigger piece of the budget pie rather than for you. Just like other career politicians, Congressman Murphy says he is for cutting wasteful spending but then votes to waste your tax dollars on wasteful pork projects. He even voted for the Bridge to Nowhere, just like Arlen Specter. This should come as no surprise since Murphy has consistently supported wasteful pork barrel projects from coast to coast, like $200,000 for a lobster institute in Maine,to $50,000 for a mule museum in California. Murphy both voted against investigating corruption between campaign donations from the disgraced lobbying firm PMA Group and against investigating corrupt congressional earmarks. In fact, more than 60 percent of the pork projects Murphy has earmarked himself went into the pockets of his own campaign donors, according to the Center for Responsive Politics. Murphy joined Democrats and voted against a balanced budget proposed by the Republican Study Committee. Politicians may say they support a balanced budget, but actions speak louder than words. Evan Feinberg gives us an opportunity to send someone to Washington whose actions will match his words. Evan has proven he has the courage and integrity to stand up for what is right and to put our children and grandchildren first. Knowing Evan personally, and having fought side-by-side with him for many years, I have full confidence Evan will be an exceptional leader in Congress. I am making a contribution to Evan’s campaign and ask you to consider making a donation of $100, $250, $1,000, or whatever you can afford (up to the maximum limit of $2,500 for an individual and $5,000 for a couple). If you honestly think that Feinberg or any other Republican would lose to a Democrat in the same congressional district that went for Toomey in 2010 by 20 points, you’re nuts. And somehow portraying that as Coburn’s fault is just misguided and irrelevant. Also, anyone who does even an iota of research can find out that Evan left a good job to offer himself to the people of SW PA as a public servant. You think a guy who believes in term limits and wants to cut/eliminate congressional pensions is looking for a job or a career? Open your eyes. Coburn’s endorsement proves to me Murphy is the RIGHT choice for PA-18th. Feinberg just uses his powerful friends to get him a new job. That is not what I need in a Congressman.